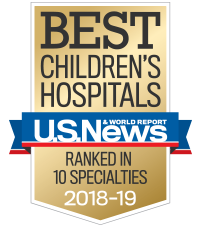 The specialists at Children’s Healthcare of Atlanta offer both diagnosis and genetic counseling for children living with a pediatric chromosomal or genetic disorder—conditions that occur as the result of abnormalities in the structures that make up a child’s DNA. Our program offers family counseling and care for children with genetic heart disease or who have a family history of heart disease or defects. Our genetics team evaluates children who may have genetic illness and works with specialists to provide diagnosis and genetic counseling. We offer advanced expertise in blood and marrow transplants to treat sickle cell disease, with the largest program in the country.